America has lost its way, they’ve forgotten free speech applies to ALL of us! What happened to America? Are we still a Constitutional Republic with our God-given rights? Once again the hard left progressive’s continue their war; they continue to flaunt their hate with no regard for our laws, or safety to others. They continue to erode our freedoms, and our liberty, all this for their greed and power. The hard left progressive’s use their hate groups like Black Lives Matter, ANTIFA, and the KKK in hopes of sparking a New Civil War. No matter where American freedom-loving people meet to rally, these hate groups show up uninvited. They show up with the intention to push their fake ideology, use violence and cause havoc with their annoying chants. Every time violence breaks out, the left waste no time blaming those of us on the right along with President Trump. Look at the events in Charlottesville, Virginia. President Trump was blamed again, when in reality, this is the fault of the far left progressives. Our lawmakers allowed President Obama and Vice President Biden, with no restraints, to fundamentally transform America from a Constitutional Republic to a dictatorship under a socialist ideology. They created a generation of government dependency and brainwashed our youth while dividing our nation. This is abuse of power by the hard left progressives. It is time for We The People to step up and let our voices be heard. It is time to Drain The Swamp. 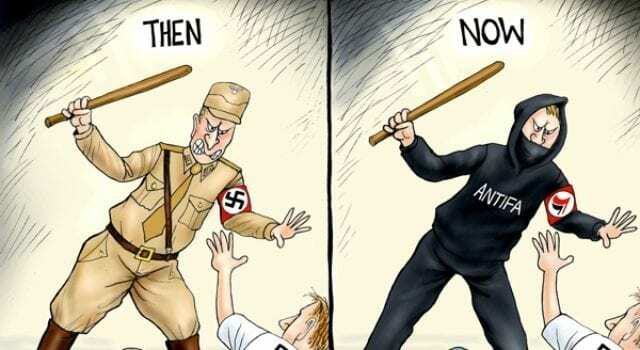 What the left has forgotten and does not understand is our First Amendment does not choose sides. All Americans, even the haters, have the right to protest, not riot, and not to infringe on someone else’s rights. They do not have to agree on what we conservatives and patriots have to say, and we do not have to agree with what they have to say. Communication is the key to healing our nation. It is the key to ridding our society of hate, racism and division. If we do not unite to take our country back, we will lose it forever. Always remember; Our history is the blood that flows through the arteries of our nation. Without it we would have no future… With the distortion and manipulation of our history taught today, we should never apologize for telling it the way, it really happened. The dedication and knowledge of our nation’s history, gives to those, who would otherwise, never know the truth. In memory of all who gave their lives to protect the freedoms of our Great Nation. Let us not toss out or forget our history, to do so will mean, we are destined to repeat it. Previous articleQUESTION – Could Anti-White rhetoric be fueling White Nationalism? Next articleFake outrage over Charlottesville!